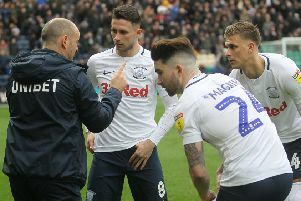 Where should Preston North End punters look to place a bet this weekend? Fancy a flutter over the weekend? It’s the international break again, so PNE fans who like a bet will have to look somewhere other than the Lilywhites to have a flutter this weekend. So Joe Whitaker of Betsid takes his weekly look at this weekend’s sporting odds. Punters will be pleased to know there isn’t another international break until the spring after this weekend, though they will still be searching high and low for opportunities over the weekend. As always, there is plenty around. The winter jumps season is now in full swing and the top-quality action comes from Cheltenham, where the BetVictor Gold Cup provides the best chasers training the chance to lock horns. A horse I follow for obvious reasons has started the season well and at 6/1, I feel Mister Whitaker could prove hard to beat at a course he seems to love. We have taken some decent antepost bets for him online at www.betsid.com and it could be an expensive one should by namesake prevail. On the international front, England host Croatia on Sunday, with this year’s World Cup heartache still hanging over them. They have looked very dangerous of late under Gareth Southgate, with the likes of Raheem Sterling and Marcus Rashford benefiting from more game time at their club. Sterling in particular has looked much improved and he can be backed at 11/2 to score first which makes some appeal. England are still leaking goals against quality sides at the back, meaning the 3/1 on an England win with both teams scoring looks tempting. League One does bring some normality for those amongst us who like to peruse over a coupon, with perhaps the game of the day coming down the road at Accrington when fourth placed Barnsley come to town. This is a tricky one for the punters, with both sides in decent form. To get better than even money at 21/20 for the Tykes to get the win looks worthwhile putting in them accumulators to me. They have just found their stride and will be going all out to get one of them top two spots. The autumn internationals in the rugby look a tad less competitive this weekend, with Japan taking on England at Twickenham. With odds so short, punters will need to turn to the handicap, which is where it gets tricky. The boys that make these are scarily good at getting them so close, though I would expect England to win by 32 points, which punters can get at Evens. The game of the day is across the water in Dublin where the boys in green tackle the All Blacks. This is a new side in the making for the Irish and this is the toughest test you can get. England saw last weekend just how hard it is to get the win against them. The All Blacks had a slow start at Twickenham though their game management and class with the ball in hand just edged it. I would expect a similar story in Dublin and I feel the 5/4 on New Zealand -8 could be very generous.